Pup Star is back for an all-new adventure! After winning the canine competition show Pup Star and becoming an international pup sensation, Tiny, the adorable Yorkie, has her world turned upside down when an evil rival switches her out in competition with a street pup named Scrappy. The two pups find themselves living the others' very different life and an incredible journey through iconic cities ensues in this fun and hilarious dog-out-of-water adventure! As they prepare for the Pup Star competition to reach its finale, each experiences life through a very different collar and discover the importance of family and being true to yourself. At the finale, both Yorkies claim to be Tiny leaving everyone, including the judges, wondering – who is the real Pup Star? A huge, fun musical adventure, ‘Pup Star: Better 2gether’ is filled with incredible singing pups, fantastic new paw-tapping songs, and an action packed heart-warming story that will have audiences of all ages howling for more! 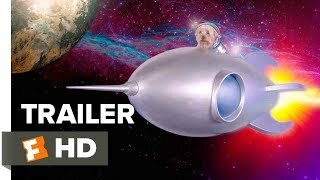 Currently you are able to watch "Pup Star: Better 2Gether" streaming on Netflix. It is also possible to buy "Pup Star: Better 2Gether" on Apple iTunes as download or rent it on Apple iTunes online.